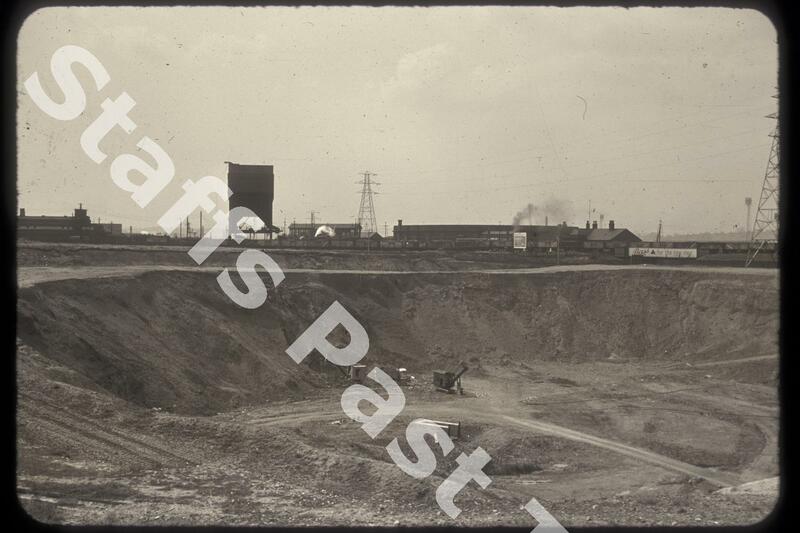 Description:This photograph was taken looking southwest over the marl pit towards Boothen. On the extreme right hand edge of the photograph are two of the floodlight pylons at the old Stoke City Victoria ground. In the centre the large low building is the old roundhouse engine shed alongside the railway, with a signal box to the left. 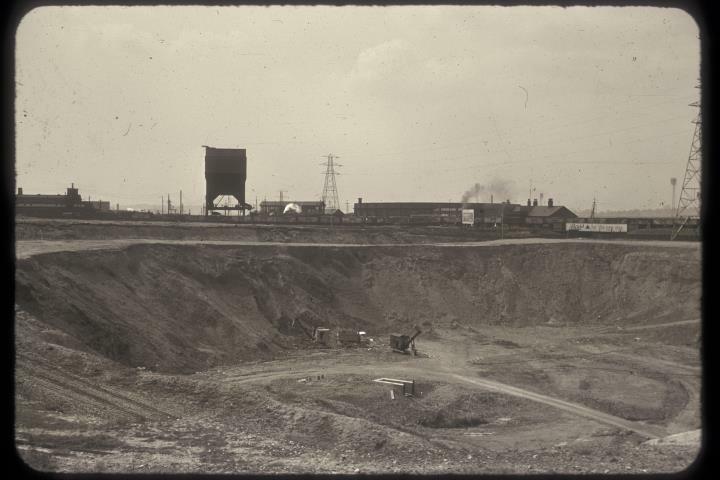 Marl from here was used to make engineering bricks.